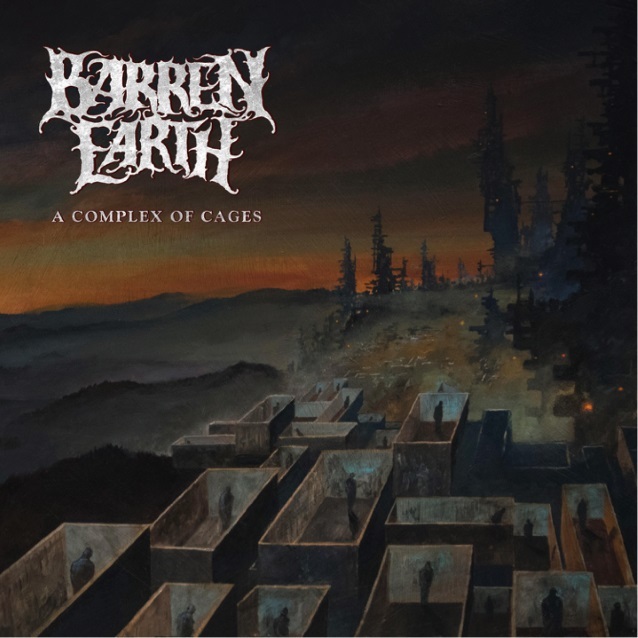 Finnish progressive death metal band BARREN EARTH, which features in its ranks guitarist Sami Yli-Sirniö (KREATOR, WALTARI), will release its new album, “A Complex Of Cages”, on March 30 via Century Media. The follow-up to 2015’s “On Lonely Towers” was recorded at Woodshed Studios with producer Victor Bullok (a.k.a. V. Santura). The official lyric video for the disc’s new single, “Withdrawal”, can be seen below.